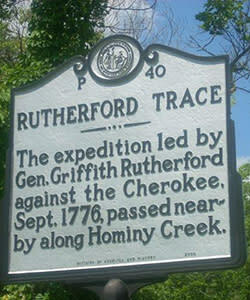 RUTHERFORD TRACE - General Griffith Rutherford stationed at Fort McGaughey built by the Colonial government of NC in 1765. He left McGaughey September 1780 with Col. James Martin and Col. Martin Armstrong going against the Cherokee Indians beyond the Blue Ridge. 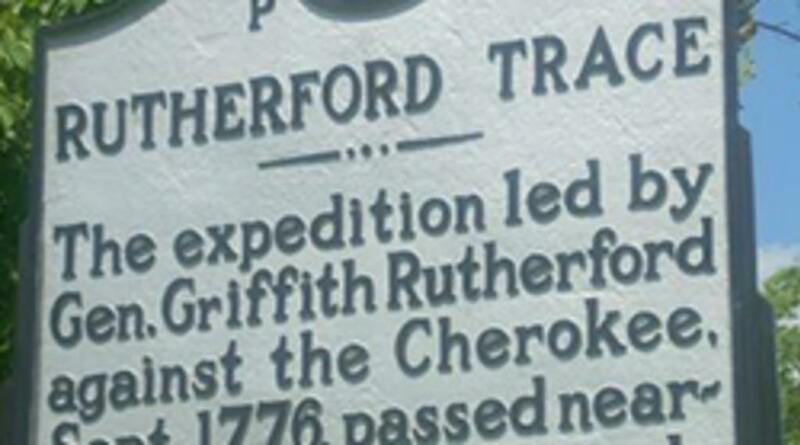 The route traveled was known as the Rutherford Trace.